Ubisoft’s latest open-world venture, Ghost Recon: Wildlands, has been described as a mash-up between Far Cry, The Division, and Just Cause. 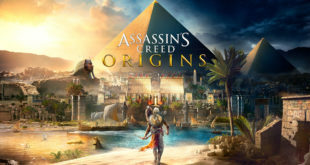 While on the surface that seems like an accurate description, (and maybe it is for the main game), after playing the game’s open beta, the experience was much more hollow. Wildlands is exactly what you’d expect from a Ghost Recon title. 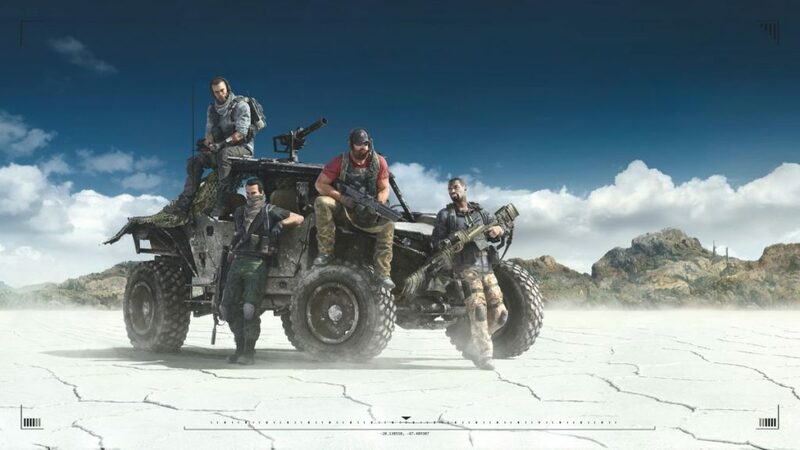 You take on the role of a Ghost and with the rest of your squad, you complete missions across Bolivia and its many different terrains, fighting members of Santa Blanca, a drug cartel that has effectively taken hold of the country. The ultimate objective is to take down El Sueño, the notorious drug cartel leader turned terrorist. But since the game is open-world, you can take your sweet time completing main mission objectives and instead blow up every sicario you come across. 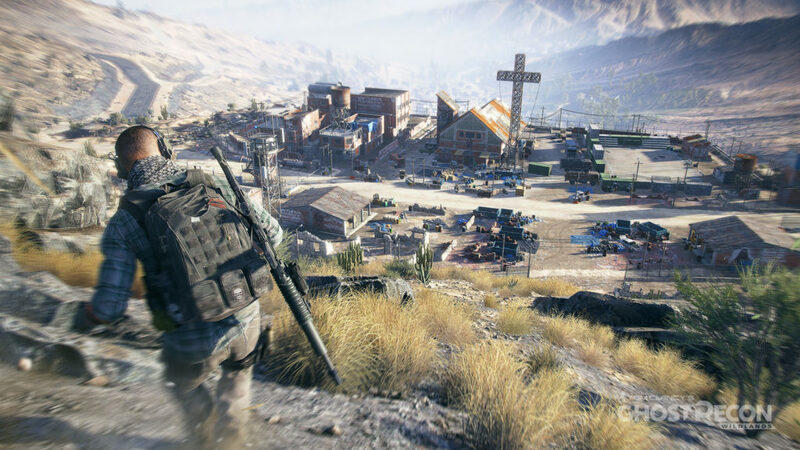 Jumping into Wildlands was fairly uncomplicated for an open-world game. Sure, there are intrusive tutorials that pop-up whenever you discover a new item (and why developers think gamers still read instructions is beyond me), but for the most part, the game let’s you explore the world as you please after the initial cut scene. You’re given the option to take the linear path, following the game’s main storyline, or you can do as I did and promptly drive a Jeep off a cliff. While that simplicity is initially a good thing, after a few hours, the lack of depth makes the game feel stale and repetitive. 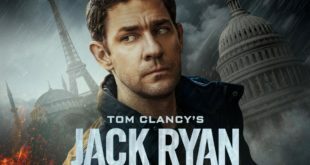 Essentially, you follow a cycle of “infiltrate compound, kill enemies, tag supplies, interrogate the cowering captain, repeat.” Occasionally, you’re given a side quest option to steal a plane or helicopter, but the quest still plays out the same. 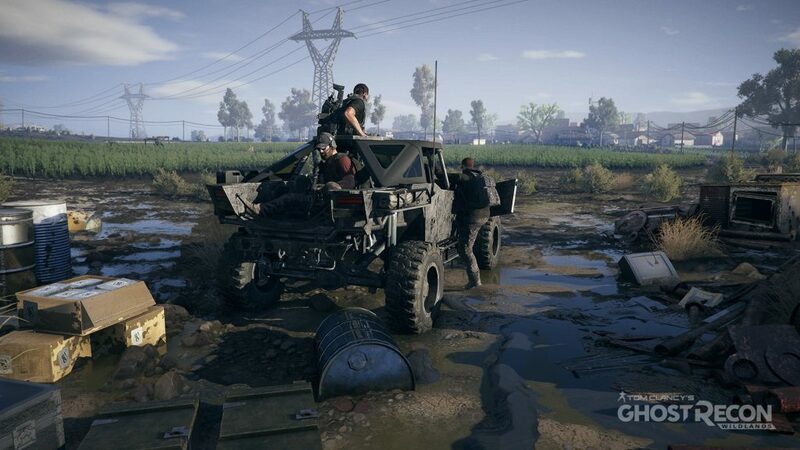 Wildlands developers made a big deal about being able to “play the way you want” when it comes to completing missions, meaning: making use of stealth tactics or going in guns blazing. What they failed to mention was that EVERY open-world game gives players that option. But let’s break down my Wildlands beta thoughts in a list format. The internet loves lists. The graphics: I am not a graphics snob like some of the other writers on this site (*cough* Bilal), but I actually thought that Ubisoft did a good job with the look of Wildlands. Each of the areas I was able to access in the beta had their own flavor and with the graphics turned all the way up, it was a sight to behold. 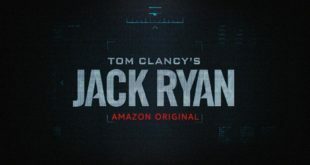 Seamless Co-Op: With The Division and now Wildlands, Ubisoft has done a good job at integrating multi-player into traditionally single player campaigns. Server and maintenance issues aside, I didn’t have any trouble joining a friend’s game while playing Wildlands together. And when they left, the game easily switched back to single player, giving me a handful of AI companions to keep me company. Also, not having to fight teammates for ammo refills is such a necessary addition to a multi-player game. I can’t tell you how irritating it is playing Gears of War 4 with players who steal ammo when I’m on my last twenty bullets. Character Creation: I love spending the first hour of a game creating my character, fussing over hair style, facial scars, and whether or not that outfit would actually fit my character’s imagined personality. Wildlands surprisingly has a great character creator, one that even allows me to play as a female character, so that’s still a big win in my book. Skills: While I didn’t spend too much time in the skills menu, I thought that, much like in The Division, tagging supplies to achieve certain skills was a nice addition to Wildlands. It’s not a great skill tree, but it’s not abhorrent either. Also, the drone is pretty awesome, especially when it comes to navigating treacherous Unidad compounds. The bugs: For a game that releases in a week, I didn’t expect to see as many bugs as I did in the open beta of Wildlands. A few things I ran across were: companions being dragged alongside the vehicle they were in, being unable to see the enemies who were firing weapons, and marked enemies bugging down under the ground. The “sync shot” never quite worked like the trailer. And on a dozen occasions I couldn’t even pick up the weapons the enemies dropped (not that you’d want to, the guns in this game are boring, at best). Vehicle control (or lack thereof): Having just finished up Forza Horizon 3, it was a real bummer coming from such a fantastic car game into the Wildlands beta. While I don’t expect any of the vehicles in Wildlands to control as precisely as they did in FH3, I certainly didn’t think the vehicles would drive like a drunk giraffe on ice. The ridiculous handling of the vehicles is almost comical when you first get inside the vehicle. It’s funny the first time you drive off a cliff with your unsuspecting teammates in tow. It’s funny the second and third and maybe even the fourth time. After being unable to control the slip and slide cars on the sixth, seventh, and eighth tries, I flat-out gave up on trying to use them. However, the dirt bike wasn’t horrible comparatively, and that became my ride of choice. Don’t even get me started on trying to drive the helicopters. The controls: considering how much I loved the feel of The Division’s action, I was disappointed to see that Ubisoft didn’t bring any of that solid shooting mechanic to Wildlands. The Division had one of my favorite cover systems in a third-person shooter and Wildlands is just a mess. Are you behind cover? Maybe. Are you crouched? Maybe. Want to use your drone? Can’t. The AI: By far the most irritating aspect of the beta was the unpredictable AI. In one instance, I stood in the middle of the road and took down one enemy while his buddy two feet away didn’t bat an eyelash. I continued to snipe his friends without ever being spotted. In another instance, I picked up an enemy’s SMG and fired off a few rounds just to see how it felt (spoiler: like every other automatic weapon in the game) and then suddenly I had a dozen Santa Blanca soldiers bearing down on my location. But it’s not just the enemy AI that doesn’t make sense. For much of my time in the single player mode, I wasn’t sure why I was even given AI companions. At one point during the final battle of the first area, I faced off against every enemy alone while my companions stood outside the house, guarding it against absolutely no one. With Ghost Recon: Wildlands releasing March 7th, I don’t hold out hope for many changes, but maybe with updates or, god forbid, even DLC, we’ll see changes that add depth to the game. For instance, since missions can be failed, it would be interesting to add more player interaction to the interrogations, instead of just the repetitive, “I ain’t no snitch, but here’s the information” dialogue. 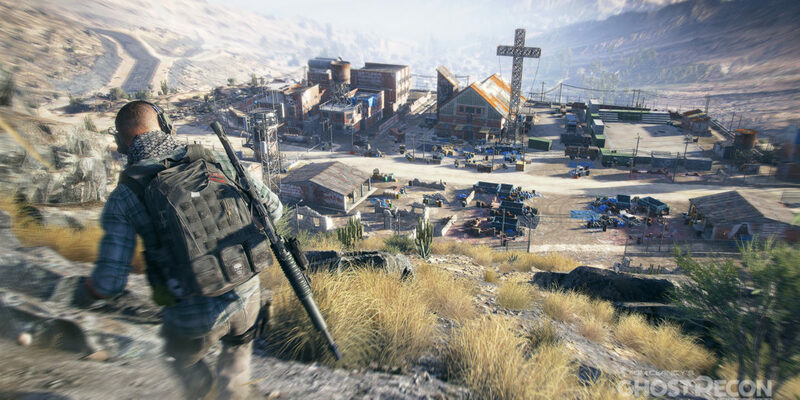 In open-world games, longevity is key, and while I have no doubt that there is stuff to do in Wildlands, I’m unsure if it’s actually entertaining. Open-world games are built on crafting, random encounters, and the fun in exploration. With NPCs that feel more like flowers than humans, walking the streets of Bolivia for no reason other than they are trying to get killed by my erratic driving, the world in Wildlands feels anything but authentic. It may be the largest open-world game Ubisoft has created to date, but in the case of Wildlands, bigger isn’t better. Tom Clancy’s Ghost Recon: Wildlands releases on March 7th for Windows, Xbox One, and PS4. 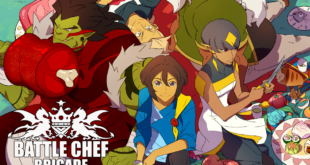 This game is solid and there’s definitely nothing boring or slow about this title. The single-player mode is intense, with reliable AI squad mates that execute orders effectively, plus the hunt to expand your skills and weapon collection will give you ample motivation to play. Multiplayer does have a chaotic ‘free for all’ feel to it, but offers endless opportunities to troll strangers and friends alike with hilarious results. What really impressed me is how the game rewards unit cohesion when tackling objectives. Very refreshing in this CoD/Battlefield one man army gaming mentality. This game does have its share of bugs, but nothing that ruins the game or that can’t be patched. As far as the shooting aspects of the game, as a veteran of 10 years, I found them far superior to those of The Division. Where this title does fall short is in vehicle control, not so much in land vehicles as with some time vested can be utilized effectivly, but helicopters and planes lack any for of precision control and are nerveracking to operate. Also, there’s no ability to move bodies once you’ve eliminated an enemy, for any stealth game, a must. But all things in scope, I for one feel this will be an awesome installment to the Ghost Recon franchise. Very much looking forward to mining battle buddies while they use their TacCom and assassinating drug runners.